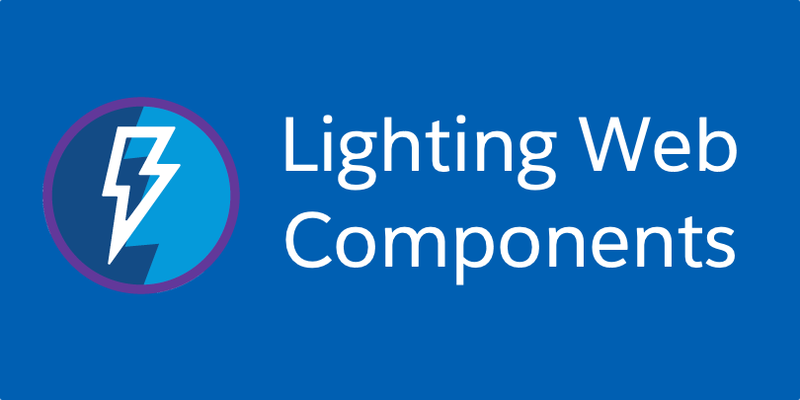 In this post I’ll cover how to get started with your first Lightning Web Component on Salesforce. First go to https://www.salesforce.com/form/signup/prerelease-spring19/ and signup for a pre-release “Developer” org (be sure to choose Developer in the last step). You’ll receive a confirmation email to verify your account. Click through the link and setup a password. You should be logged into your org’s settings screen. Using “Quick Search” on the left sidebar enter “Dev Hub” and choose the “Dev Hub” option. Next up we’ll be using Visual Studio Code to write our components. Whilst there are other editors out there, Salesforce has written plugins to simplify LWC development. Download the latest version from: https://code.visualstudio.com/. Now save all your changes and we’re ready to deploy the code to our org. After being logged into return to Visual Studio Code and next we’ll create a Scratch Org to use. Press Command + Shift + P on Mac, or Ctrl + Shift + P on Windows, and enter “sfdx: create a default scratch org“. Hit Enter to set the default for project-scratch-def.json and then enter the name as MyFirstLwcScratchOrg. This usually takes a minute or so to complete. Now we’re ready to push code to the org. Press Command + Shift + P on a Mac or Ctrl + Shift + P on Windows (this will be muscle memory soon! ), and type “sfdx: push source to default scratch org“. After it’s been pushed we can go view it in the org. Press Command + Shift + P on a Mac or Ctrl + Shift + P on Windows and type “sfdx: open default org“. This will open the org in your browser. Click the App launcher in the top left corner and choose the “Sales” app. Click the “Gear” icon in the top right and choose “Edit page“. This will open App Builder, use the search in the left column and type “helloComponent“. Drag and drop your component to the canvas in the middle in the top of the right column. Finally hit “Save“, this will ask if you want to activate this page as default in the org. Hit “Activate“, then “Assign as Org Default“. Then hit “Save” in App Builder one last time before hitting “Back“. Now if you don’t see your component refresh your browser tab. After that you should see your first Lightning Web Component! Try changing the text in the input box and you should see the text in the message also update!